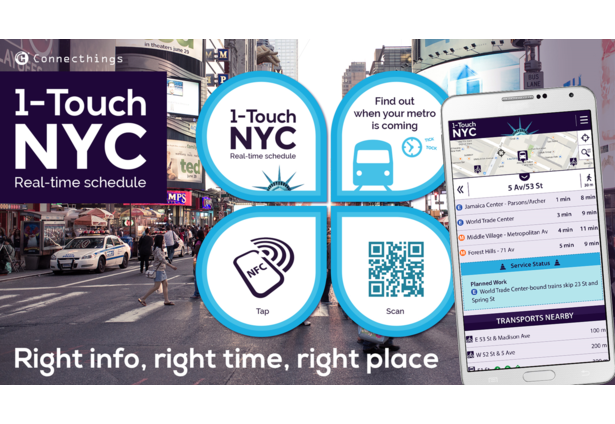 Connecthings team is very proud to introduce "1-Touch NYC" that will redefine the way citizens access public information by allowing them to easily interact with their city. 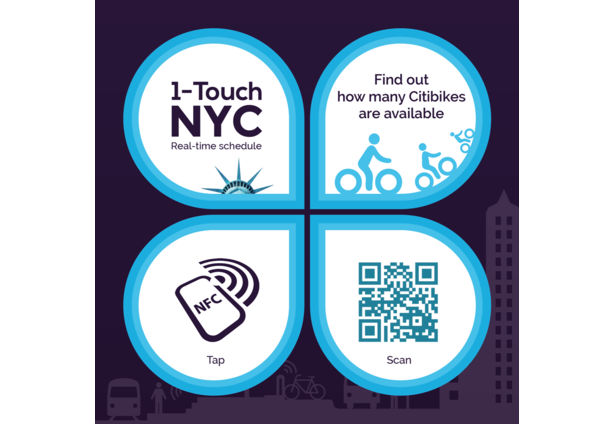 Simply by touching a smart poster, a traveler is now able to immediately see on his mobile the useful information he is expecting: at a subway station when the next metro is coming or at a bike-sharing station what are availabilities around him. No searching, no downloading required, no waste of time. Near-field-communication, known as NFC, is quite a revolution when it comes to simplify people's life as it is a very intuitive technology. What could be more simple than touching an object to make it talk ?Would you find a easiest gesture to explain to a 8-year-old kid or a 70-year-old person that touching his/her mobile on a bus stop panel to get bus schedule ? Our users often use the word "magic" to describe their first experience with NFC technology by Connecthings! Users can interact with smart posters through NFC, if they have an NFC-enable phone, or by scanning QR codes for all the others. 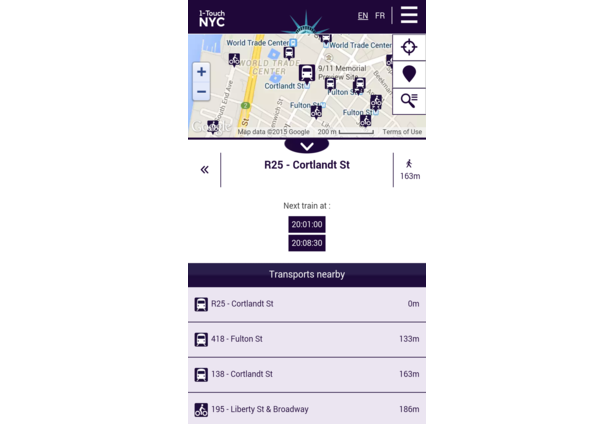 It allows to fully connect the MTA and NYC public spaces and objects to relevant digital data that was invisible before. 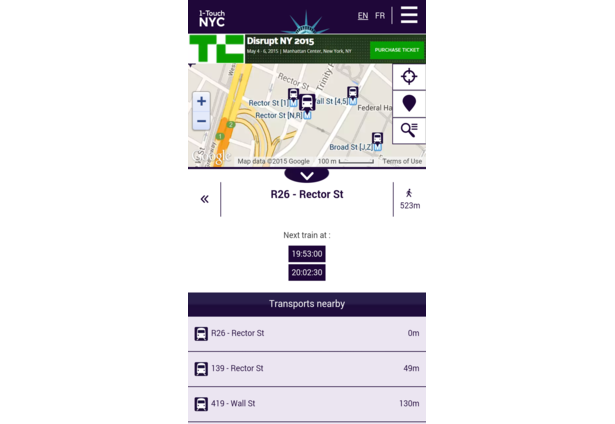 The service is accessible to 100% of smartphones, in 2 languages (English & French). 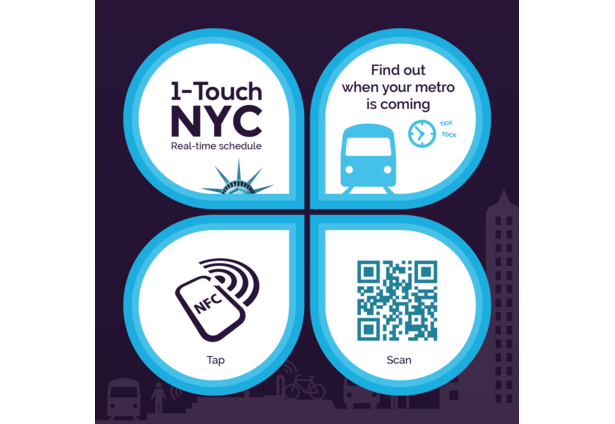 One great innovation we are also introducing is the giant NFC poster that allows to tap anywhere on the poster and interact. It is perfect for novice transit riders or disabled citizens. 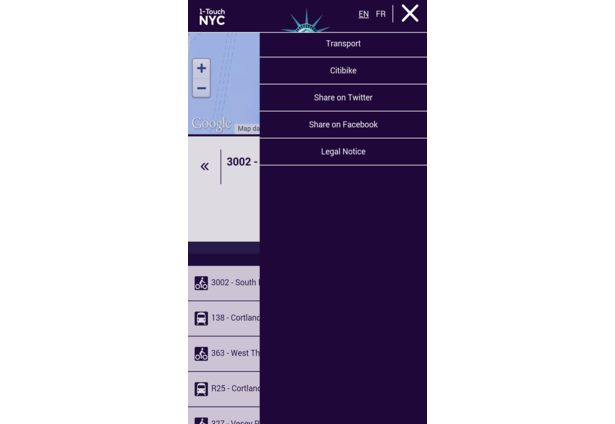 Our team has been working hard to create touch points that provide unique context-based mobile information, depending on the time&date, location, street furniture, mobile type, screen sizes, user profile and language, etc. 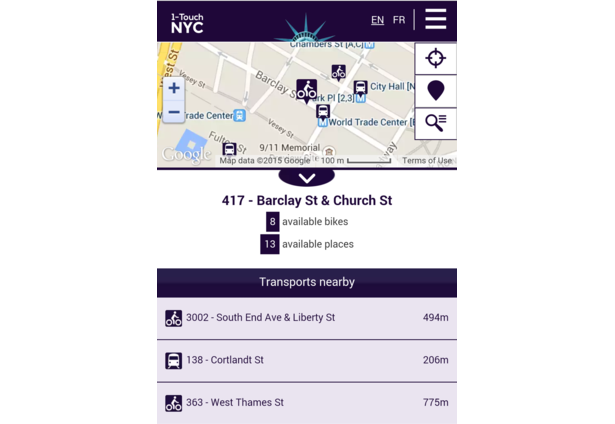 to smartly propose real-time schedules of Manhattan subway stations and Citybike availabilities when and where users need it. 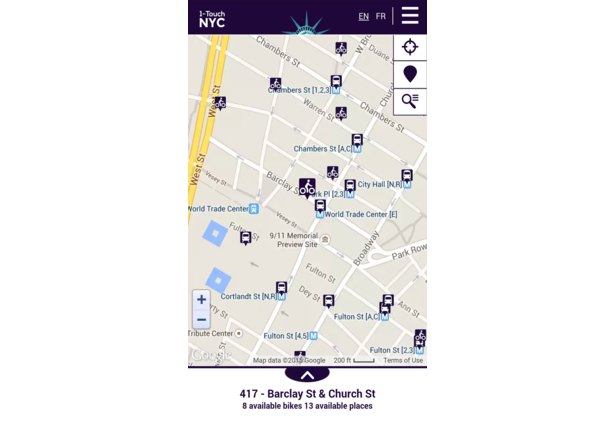 MTA can also use it as a geo-contextual communication channel to promote events (ex: NYC Dirupt 2015), initiatives or transport apps based on the user's OS. 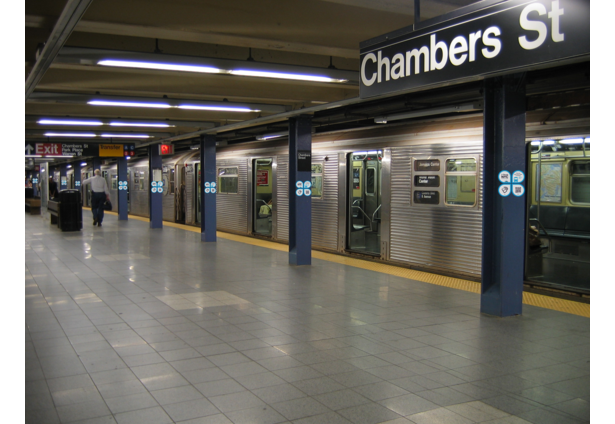 After more of 100 years transporting NYC travelers and tourists from all around the globe, with more than 100 subway stations with data connectivity and another 100 with Free Wifi, New York City deserves a revolutionary durable real-time information channel! Comments for this submission are closed. 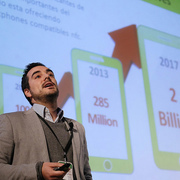 View the software in Louisalban's portfolio to continue the conversation.